Join us for 2 showings of Christmas Vacation on Thursday Dec. 20th. Showtimes are 6pm & 8pm. 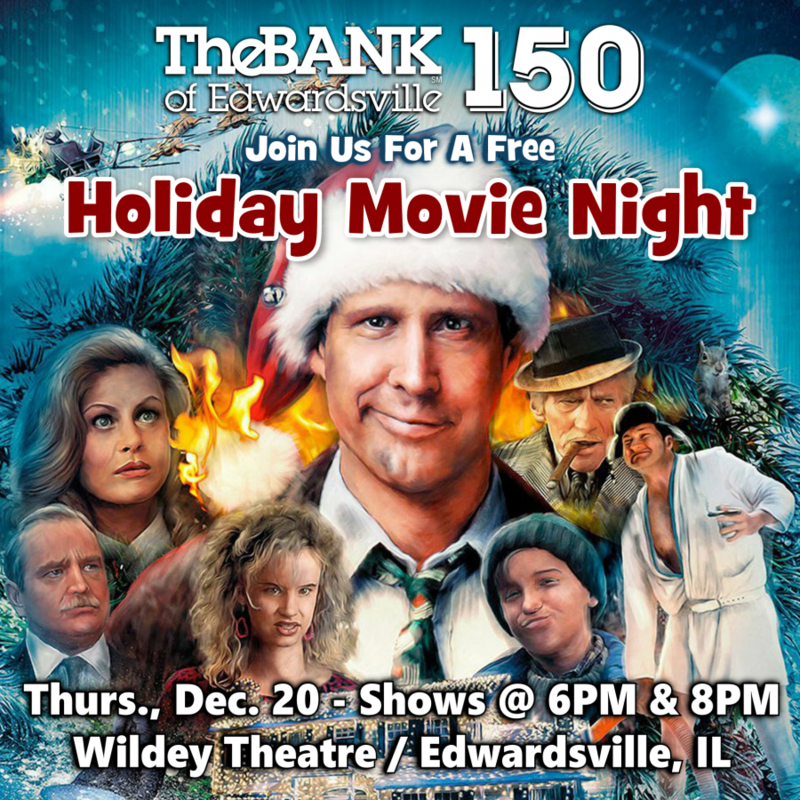 Admission is FREE, thanks fo The Bank Of Edwardsville.